The performance version of the Tesla Model S goes with drag racing like hands in gloves, like peanut butter with chocolate, like stripes on a tiger, like...ok, you get where we're going with this: it's a natural match. Acceleration from a dead stop in a straight line is truly and Ludicrously one of this cars strengths. And quite a bit of fun to watch as well. Unlike internal combustion-powered vehicles, though, there aren't a whole lot of things you can do to improve quarter-mile times from the the factory. There are no cold air intake kits or turbos you can bolt on to increase performance. The only Supercharger available for the Tesla serves a completely different purpose than one you might buy from Edelbrock or Whipple. Still, there are steps one can take to improve track times — just ask the guys behind the popular Tesla Racing Channel on Youtube. 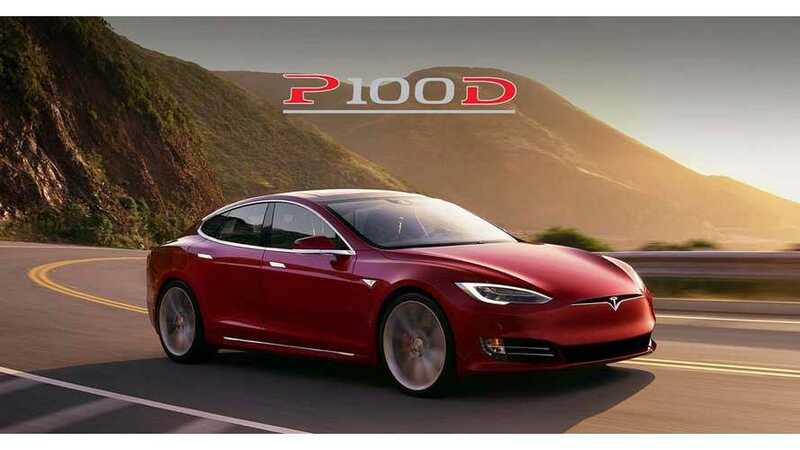 Recently, their wheel man has been showing up at events with a refreshed-fascia Model S P100D that's had its weight reduced by an extreme stripping out of most of the unnecessary bits. There's no frunk up front, the interior has been gutted, the front seats replaced with aluminum racing buckets, and lightweight wheels from BBS now sit at each corner. The end result is a 360-lb drop from the 4960-lb factory figure. Impressive. In a game that's won by shaving off tenths, even hundredths, of a second, the team has now taken to testing different wheel sizes and tire types. 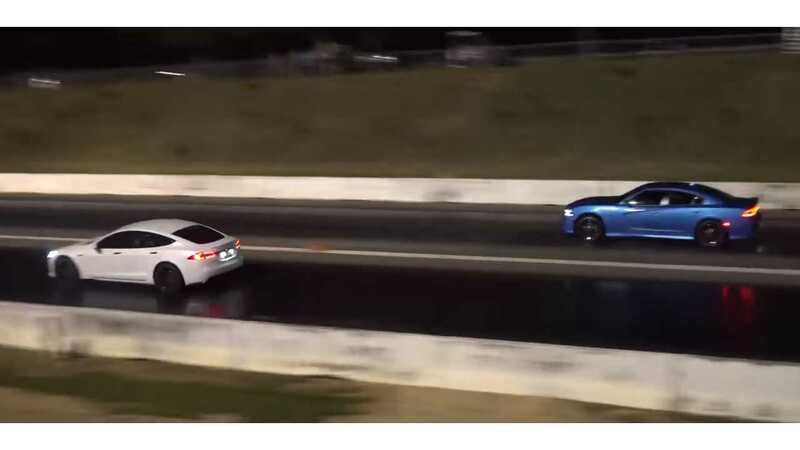 In its latest video (above), they make several passes with the Tesla outfitted with the 19" BBS wheels shod with Mickey Thompson drag radials, recording a top time of 10.65 seconds. One might think that would be a winning formula, but experimentation is the only way to confirm any hypothesis. For their fourth rip down the asphalt ribbon, they substituted 21" wheels from T-Sportline wearing OEM Michelin Pilot Super Sport rubber. A lighter, yet less "sticky" tire on a heavier wheel with a larger circumference. Despite some amount of wheel spin off the line, this was the winning formula, with an impressive elapsed time of only 10.56 seconds. Their driver conjectures that, since the Tesla pulls hardest at lower speeds, the larger wheels lend a hand with acceleration a little further down the line. Indeed, the traction control system seems to work well enough to not really benefit from any extra treadless stickiness. The next test for the Tesla Racing Channel will be to take what they've learned here and take the next step. That is, match up their 19" BBS wheels with rubber much lighter than the drag radials used in this test. What ever they try, it all makes for a good excuse to watch these guys pit their electric monster against any number of modified Evo's, Mustangs, and Hellcats. And usually win.